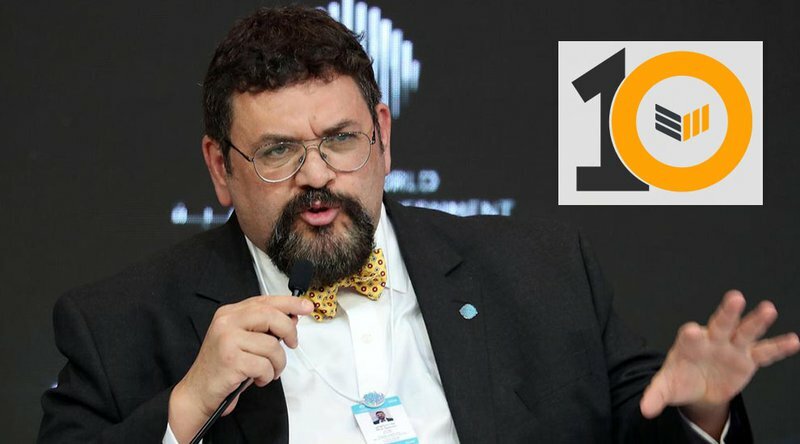 Nick Spanos is an early adopter and innovator in the blockchain space. He is best known for launching Bitcoin Center NYC, the world’s first live cryptocurrency exchange, in 2013, right next to the New York Stock Exchange — as immortalized in the Netflix documentary “Banking on Bitcoin.” As part of Bitcoin Magazine’s series of interviews and op eds leading up to the 10th Anniversary of Bitcoin, Nick shares his thoughts an early Bitcoin adopter. Before Bitcoin, I worked tirelessly for liberty-minded political candidates for many years. These candidates, the most prominent of whom was Dr. Ron Paul, spoke out against the Federal Reserve Bank because of its role in inflating the money supply which devalued the life savings of hard-working people. In almost every case, the mass media would sharply (and often unfairly) attack the image of the candidate with half-truths and misinformation, decimating our poll numbers, until they were sure that we would be defeated on Election Day. No matter how hard we worked or how much money we raised, we were no match for what I call the political bosses of today, the mainstream media. Bitcoin for me is not an instrument for financial investment. Bitcoin for me is a declaration of our monetary independence. When I started the Bitcoin Center in 2013, I had a flourishing real estate business in downtown New York. I had an established career in developing technologies for political campaigns. Because of bitcoin’s reputation in the mainstream media back then, I knew that many of my relationships would be destroyed if I emerged as a public figure in the cryptocurrency space. When I launched the center, a press release was sent out revealing me as the founder even though I never wanted that information to go public. Immediately, concerned friends and family started calling me, asking me what I was getting myself into and wondering if I had lost my mind. Bitcoin was for illicit activities on the internet, they told me. This is nothing but video game money, said others. My life mission of personal freedom was more powerful than anything anyone could ever say to me. I knew I had to bring Bitcoin out of the back alleys and onto Wall Street for the world to take it seriously. So, for many years, by day, we taught reporters, stockbrokers, students, technologists and tour groups about bitcoin, for free, and by night, bitcoin and other cryptocurrencies were traded on the world’s first live cryptocurrency trading floor (also for free). Every day, we made our stand, not knowing which government agency might walk through the doors or what papers they might serve us, or even worse. Yet we stood there, like David with his slingshot up against the modern day Goliaths, in an open and notorious manner, unwavering and unafraid. For years, we fought tooth and nail and spread the ethos of decentralization far and wide, with a team of lawyers at the ready. Licenses were created against us to thwart the rate at which we were growing. Agencies worked tirelessly to figure out how to turn people off from adopting bitcoin, and yet the little bitcoin thrived against all odds. They are touting what they call “blockchain,” but what they are actually peddling is another iteration of centralized control in, what is for many of them, a last ditch effort to stay relevant. Many people in our community were excited by the invasion of these goliaths because they had thought it might lend us legitimacy. But that’s only because they had been brainwashed into thinking that our community was otherwise illegitimate. We, the open, permissionless blockchain believers, are the legitimate ones. The reality is that the educational work we began at the Bitcoin Center is more important now than ever before as we continue to teach people the true meaning of decentralization. As many have said, and as I have said in forums in dozens of countries throughout the world, from Saudi Arabia to Sri Lanka: There can be no transparency, immutability or accountability without decentralization. The internet grew by leaps and bounds because it was permissionless. A permissioned internet would probably have been nothing in comparison. The same is true for the blockchain. Despite these powerful institutions and regulators who are shoving their centralized agendas down our throats, I am confident in the resilience and fortitude of our ever growing community to withstand these attacks. If we don’t all stand for something, we will fall for anything. We have made too many compromises and have retreated too many times without a fight. Goliaths hire many of us to tout their Trojan horse projects. Lobbyists working for the goliaths convince governments to regulate us into the ground while promoting their own unqualified, unseasoned friends. They change the tax code to tax us over and over with every little trade, even within our own portfolio, and we still do nothing. Are we to just give up? Are we to just lay down and let this happen to all of us? Why do we fuel infighting within our own community? We are all in the same boat. Big torpedoes are aimed at us. Shots over the bow have turned into direct hits. If we don’t finish freeing ourselves with the open, permissionless, decentralized blockchain, they are going to imprison us with the closed, permissioned, centralized blockchain. We have to look in the mirror every day and ask ourselves: What have we done to help Bitcoin? I don’t know about you but before I die in this cage, I want to run free in the wild, and Bitcoin is the key to our freedom after we fight for it. This is a guest post Nick Spanos, an early adopter and innovator in the bitcoin and blockchain space. Views expressed are his own and do not necessarily reflect those of Bitcoin Magazine or BTC Inc.